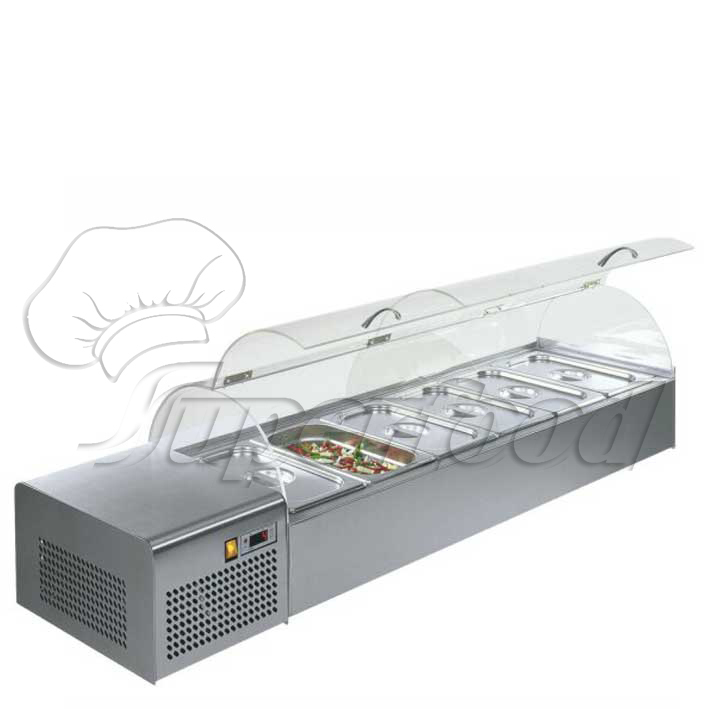 The Rhein cooling box can be utilized not only in cafeterias but also in fast food restaurants, in hotels for preparing of breakfast or salads presentations. complete from stainless steel 18/10. plug-in. the operation of the showcase. is controlled electronically. static cooling with foamed evaporator.